by Alberto Gonzalez, founder and CEO of GustOrganics,www.gustorganics.com. U.S. food consumers are somehow programmed to buy food cheaply. Our national motivation to pay less seems to be in our social DNA. We suffer what I call The Cheap Disease. It is fair to say that cheap food does not exist. When we buy cheap, in reality we are paying a very expensive price because we are--or will be--paying the difference saved at the cash register with our health and with extraordinary damages to our environment, which also means that we are seriously compromising the health of future generations. 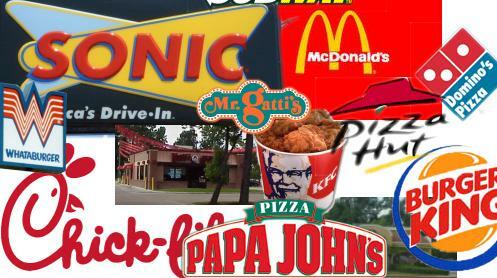 The companies providing us with the cheap food are in reality externalizing the true cost of those foods. The "cheap" food disease is not only affecting our health, but also that of farmers, animals, soils, water, and air. Factory-farming and the huge level of consolidation in the agricultural sector (the main culprits for our Cheap Disease) are putting family farmers out of work at an alarming rate. According to Farm Aid, 330 farmers leave their land every week. This is more than 47 farmers per day. I know it's awkward to discover that we have not been smart at all but simply manipulated by Food Corporations and agribusiness, and in fact, our food-purchasing decisions during the last 50 years have resulted in very poor choices. Also, collectively speaking, we have become very sick. Although, on more than a few occasions, many people pay high prices for food in restaurants, in general those prices are related to value created by the location, style, or chef; however, the ingredients are generally coming from factory-farming, so the economics of dining out are actually contributing to The Cheap Disease. In other words, the higher prices paid translate to better margins for the businesses, but don't contribute to consumption and support of true organic and sustainable farming. In this country, most people do not make the connection between food, health, and happiness. The most obvious connection that I am sure everyone immediately detects is the one between money and happiness, hence, through this paradigm, "cheap" seems to be the main virtue in our food system, and it has proven to be a recipe for disaster. To put it succinctly, while pursuing the illusion of cheap food, America became the sickest country on the planet. What we eat matters big-time. Food is who we are, food cleans, food creates positive jobs, helps local communities, food incentivizes life but also death, destruction, and wealth for just a few. The choice is all ours. Let's cure our Cheap Disease, now.